I’m an avid seamstress, leatherwork enthusiast, sewing blogger and the designer of the Genoa Tote. I’m also a self-confessed all-or-nothing person, a lover of scarves and a recovering perfectionist. 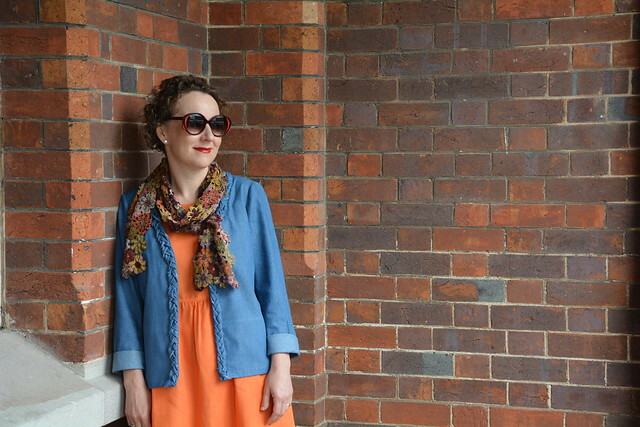 Predominately self-taught, I love a challenge and continue to expand my knowledge and skills through interaction with the sewing community and as a regular pattern tester for Australian independent designers. In recent years, my multi-talented friend Sharon has been my blog photographer, location scout and stylist. It’s a creative collaboration that we both enjoy. I love sharing my sewing knowledge in the classroom and my sewing adventures here and via Instagram. And the name, which I know makes no sense at all… Well, I attended a Sewing Meet-Up in Melbourne in August 2012 and other bloggers were introducing themselves as such-and-such from such-and-such blog. To keep the theme running, I introduced myself as Anna, Blogless Anna. A month later when I finally took the leap and started my sewing blog, I thought I’d keep the joke running.